Elizabeth firmly believes that change is inevitable. As we age, our goals change as time passes while our , health and living conditions also change. Likewise, she believes that the financial environment is no exception as markets and interest rates move and evolve. Elizabeth enjoys successfully navigating her clients through change and helping move her clients closer to their retirement income goals and legacy plans. Throughout her professional career, Elizabeth has held positions in strategic planning, product development, marketing and national account management. She has almost 25 years of experience in custom manufacturing. While raising her two children, Elizabeth was vital to growing a manufacturing company consistently year-after-year. She observes that much has changed throughout the years, but keeping an eye on the financial health of any company is prudent. Elizabeth holds her Series 7, 63 and health insurance licenses. She earned a B.S. in accounting from Southern Illinois University at Carbondale. Elizabeth grew up in New Jersey and resided in Illinois for 28 years. 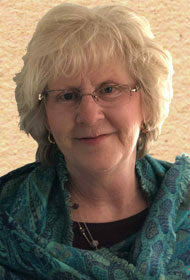 Elizabeth has two grown children, and enjoys cooking, entertaining, interior decorating, sewing and art.